The perennials planted by She Who Must Be Obeyed are thriving. Besides being well established now, the season's weather has provided adequate rain and plant-friendly moderate to warm temperatures. 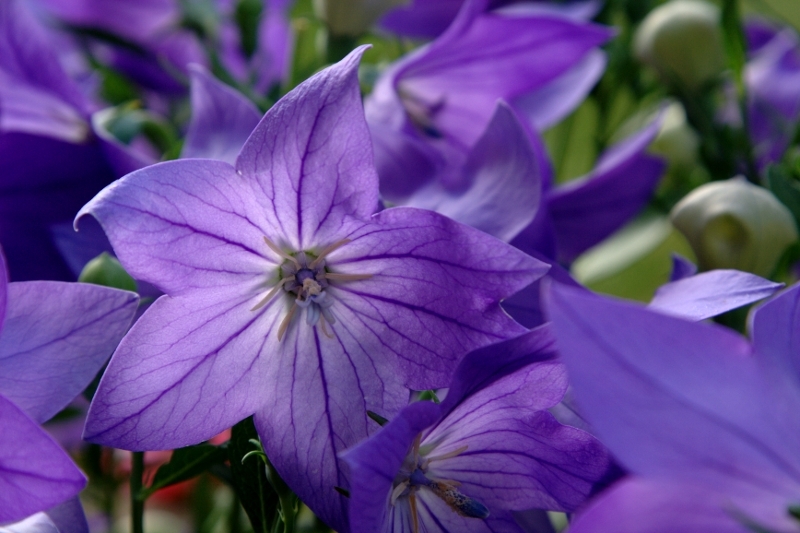 On my way out the door this morning I was struck by the beauty of the morning light shining through the centers of the deeply-colored balloon flowers (Platycodon Grandiflorum). 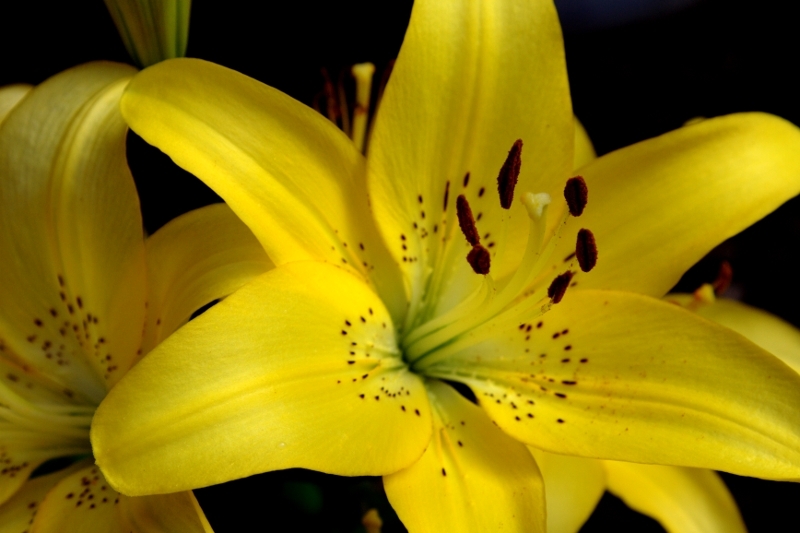 Nearby the crop of yellow Asiatic Lily (Lilium Asiatic) blooms shined from the shadows as if by their own light. And then I had to head off to work. Wow, James, these flowers are fantastic!! What gorgeous photographs. Wow. These are fabulous! I imagine them blown up and hanging on my living room walls. I need to resort to a thesaurus more!